By Size & Group No. 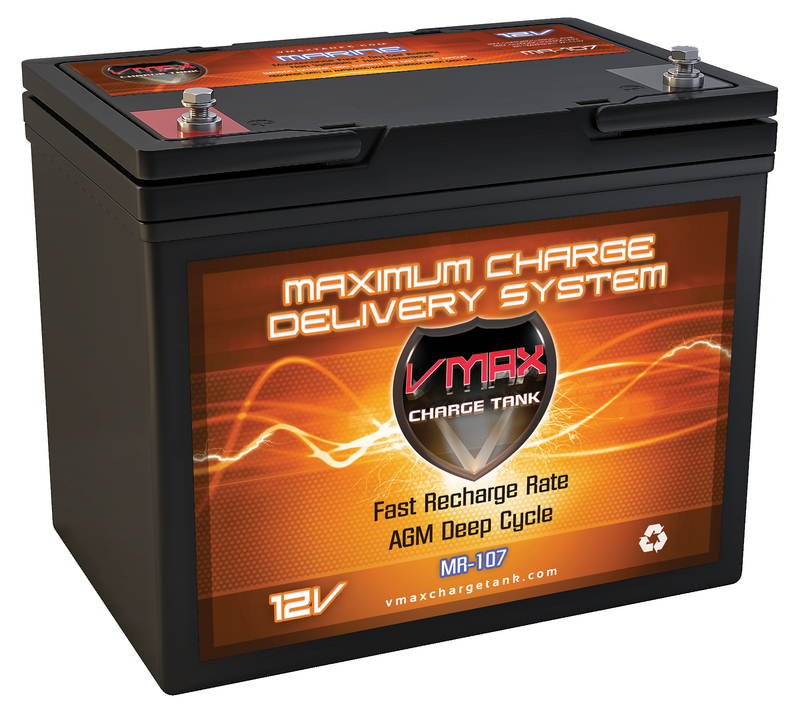 "Best trolling motor battery I have ever had. Extraordinary performance over several hours of use. I have a Minn Kota 36 lb trust motor as my only source of power pushing a 14' aluminum V-hull boat. I have been on the water up to 7 hours, and still had nearly 50% charge remaining. The battery is not over-sized, and weighs a comfortable 50-60 lbs. Perfect fit for me!" "Installed two of these batteries in my motor home and they work great. After watching Tv for 4 hours, running two fans ( 1 fan all night), light and had the furnace on, I still had 80% left in the battery when I woke up and they charge fast too." "Purchased for aux power for my cargo trailer. Holds a charge well. Comes 80% charged." "I bought this with a Minn Kota 50lb thrust trolling motor and the battery power center box. This battery has plenty of power left after pushing my canoe around the lake all day. It's never been below 1/2 capacity at the end of the day and I am running an air pump for inflatables (inflate & deflate), running the trolling motor, and lights." "Ample power to get around the lake more than once on full power--55 thrust. Don't know yet how long we can go before it starts loosing power as this new to us." "Great Product and Service. Very quick and free delivery. This battery exceeded my expectations with it's power and capacity. Very happy and I highly recommend this product." "This the second one I purchased...perfect in every way!" James L. Zeigler "J&D Zeigler"
"Used it all fall and starts my 9.9 Honda and runs my 55# thrust elec. all day, no problem. At this point in time it seems as though the rather lofty price was wort it."